Raise your hand if the first thing that pops into your mind when you hear the word “self-defense” is some sort of fighter’s punch, kick, spin, or throw. Come on, be honest. That’s exactly what used to happen for me. That picture in my mind came from my misunderstanding of the concept of self-defense. I’ve always considered self-defense to be the answer to the question, “What do I do after I am attacked?” And for me, the answer involved some version of a gun-totin’, cigarette smokin’, Ray Donovan-type Hollywood tough guy who takes bad guys down with a single punch, kick, or throw. After talking with Tony Blauer, who schooled me for ninety minutes on the very nature of self-defense, that old concept has been erased. What’s left in its place? All the things that a self-aware, tuned-in, situationally present person would do to avoid a confrontation in the first place. If your concept of self-defense begins with what happens after you’ve been attacked, it eliminates the opportunity for what Tony calls D1, D2, and D3 — detect and avoid, defuse, and deescalate. If a situation progresses beyond these to a violent encounter, then that fight will almost never be a stand up, kicking, punching brawl. Instead, it’s messy, one move, all over. I can’t think of a podcast I’ve listened to or recorded that was more relevant to my entire life (and that of my family). I can’t think of any other guest who has the ability to literally help you save your own life just by you listening to their recorded conversation. This one is not only good, it’s important for the safety of you, your family and loved ones. Listen, learn, enjoy! P.S. Our show’s producer, Cameron, actually had a real-life situation with his mom occur after listening to the podcast and put the D1, D2 and D3 to good use. You just never know. Follow Tony Blauer & the SPEAR System on Facebook. Blauer Tactical Systems — Tony’s website for the SPEAR program. 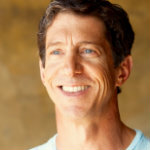 Jack Donovan — Author of The Way of Men. CrossFit ATM Self-defense — A perfect video example of how to devalue yourself as a target.